Glen Elgin Distillery is situated 10 miles south of where the river Lossie exits to the sea and about 40 miles east of Inverness Founded in 1898, it was built and designed by the notable distillery architect Charles Doig of Elgin. It was the last distillery to be built during the boom years of the 1890s. Charles Doig, made an apocalyptic prediction, that this would be the last distillery built on Speyside for fifty years. Even this turned out to be conservative; it was actually 60 years before Tormore became the next. Work on the buildings began shortly before the 1898-99 collapse of Leith whisky blender, Pattisons, that famously drove a buoyant market for malt whisky into recession. Local legend has it that many of the workers went unpaid and that they only got their money when they threatened to demolish the chimney-stack. Glen Elgins creators, William Simpson, a former manager of Glenfarclas, and James Carle, an agent for the North of Scotland Bank, saw their investment of £13,000 diminish to £4,000, when they were forced to sell it for a quarter of its cost within a year of its eventually beginning production in May, 1900. The distillery has had a string of owners before 1936, when it was taken over by the UDV through the Scottish Malt Distillers Ltd. Despite all the difficulties during the post-war years, the distillery has been refurbished in 1964 and the number of stills has been tripled. 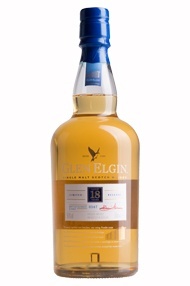 Much prized by blenders, Glen Elgin was for years a core component of the blended Scotch, White Horse. 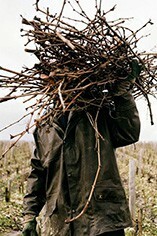 In the recent years it has been made available as a single malt. True to its Speyside provenance, its style is smooth, mellow and sweetly honeyed with a dash of tangerine fruitiness. Soft spring water comes from the area of Millbuies Loch to the south-east of the distillery. 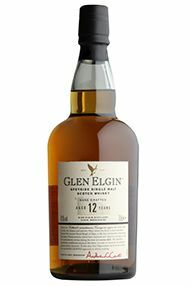 Glen Elgin 12 yrs is a single malt of breathtaking intensity, Stunningly fresh, mouthwateringly crisp and lush in barley, spice and ripe plum flavours, finishing with a dryish, slightly caramel-like note.